‘Yesterday, Wednesday 16th September, was World Play-Doh day and as a proud partner of Butlin’s, we wanted to tell you a little bit about our history – as well as what we’re up to with Butlin’s right now. Play-Doh was invented in 1956 as an Arts & Crafts modelling compound for use in homes and schools by children of all ages. In 1991, Play-Doh joined Hasbro, Inc. as part of the Playskool line. It’s gained popularity the world over and is sold in more than 90 countries across the globe. Enduringly popular as the brand approaches its 60th birthday, more than two billion tubs of Play-Doh compound have been squished and squashed since 1956! We first launched as one product line – an off-white compound. We quickly diversified as one year later, in 1957, three new colours were added to the portfolio – yellow, red and blue. It’s continued to evolve with new colours and categories introduced over the years, and outside of the core toy range the brand has multiple licensees who expand the Play-Doh ‘world’. These licensed items include stationery, craft kits, activity tables, storage and more. When we thought about launching a brand new live experience in the UK, we wanted Butlin’s to be the only place to launch our amazing new show. 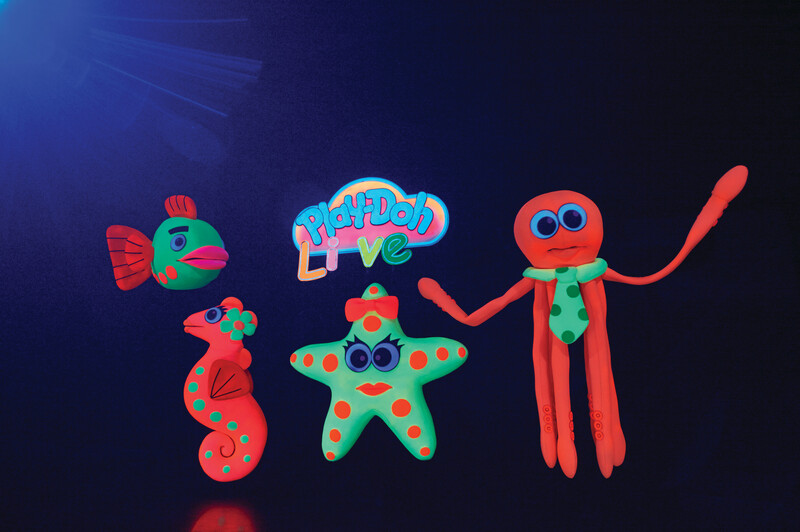 Play-Doh live is a 20-minute show featuring fluorescent Doh-Doh puppets and friends – and has been wowing the crowds at Butlin’s Bognor Regis throughout the year. Aimed at children aged five and under, the show is a fantastic mix of story and song as it tells the tale of how the Doh-Doh characters make sure every new batch of Play-Doh is ship-shape and ready to go out. 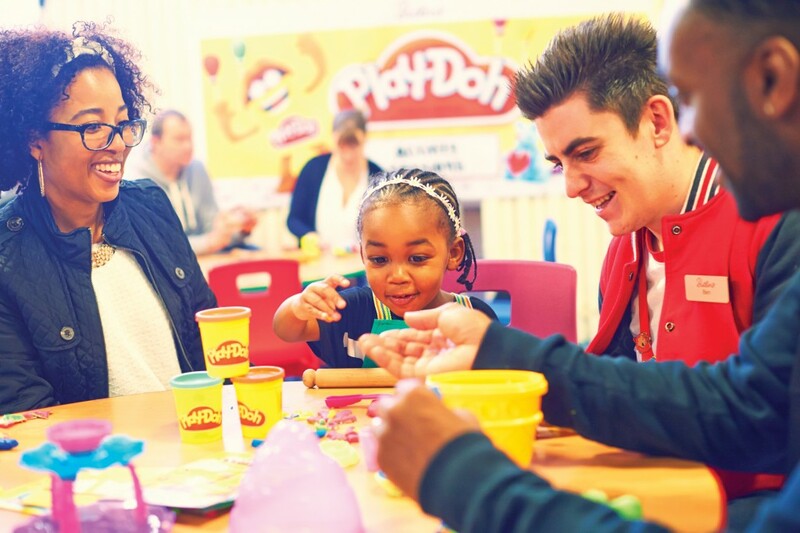 Find out more about World Play-Doh Day here.